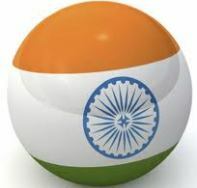 Global rating agency Standard & Poor's (S&P) scaled down India's credit rating outlook from ‘stable' (BBB+) to ‘negative' (BBB-) with a warning of a downgrade if there is no improvement in the fiscal situation and political climate. Giving reasons for downgrading India's sovereign rating outlook to the lowest investment grade and just one step away from junk bond status, S&P said: “The outlook revision reflects our view of at least a one-in-three likelihood of a downgrade if the external position continues to deteriorate, growth prospects diminish, or progress on fiscal reforms remains slow in a weakened political setting.” Alongside, as a reflection of the “outlook on the sovereign credit rating on India,” the S&P also lowered the rating outlook of the country's 10 top banks which include the State Bank of India (SBI), ICICI Bank and HDFC Bank. Other banks which would also suffer collateral damage are Axis Bank, Bank of India, IDBI Bank, Indian Overseas Bank, Indian Bank, Syndicate Bank and Union Bank of India. India propelled itself into an elite club of nations with Inter-Continental Ballistic Missile (ICBM) technology by successfully test-firing nuclear-capable Agni-V, which covered a range of more than 5,000 km. The significance of the success lies in the fact that Agni-V is the most formidable missile in India's arsenal, with the longest range. With this grand success, India joins the U.S., Russia, France and China, which have ICBM capability. With India's policy of no-first-use of nuclear weapons, Agni-V will provide the country with depth in deterrence. Union Minister for Road Transport & Highways C. P. Joshi unveiled India's first Radio Frequency Identification (RFID) technology-based Electronic Toll Collection (ETC) Plaza in Haryana. Radio-frequency identification (RFID) is the use of a wireless non-contact system that uses radio-frequency electromagnetic fields to transfer data from a tag attached to an object, for the purposes of automatic identification and tracking. The PSLV-C19, the newest in the series of polar satellite launch vehicles of the Indian Space Research Organisation (ISRO), burst off the launch-pads of Sriharikota in the wee hours of Thursday on its space mission of placing indigenously developed Radar Imaging Satellite the RISAT-1 in a polar circular orbit. The RISAT-1 with a payload of 1858 kg, the heaviest satellite being launched yet by the PSLV, is a state-of-the-art Active Microwave Remote Sensing Satellite carrying a Synthetic Aperture Radar (SAR) payload that will operate in the C-band. In simpler terms, the RISAT-1 can beam back imaging of the earth surface features during day and night and under all imagined weather conditions. Braving the downturn in the United States and the economic slowdown in the eurozone, India, on Thursday, announced that it had surpassed the export target of $300 billion for 2011-12. However, imports surged by 32.1 per cent to $488.6 billion, leaving the highest-ever trade deficit of $184.9 billion. Interestingly, the government had set a target of $150 billion trade deficit. Owing to the huge trade deficit, the current account deficit (CAD) is likely to be close to an uncomfortable 4 per cent of gross domestic product (GDP) in 2011-12. Reserve Bank of India cut the policy rates by 0.50 percentage points, signalling banks to cut the lending rates. The decision is likely to help borrowers breathe easy. The short-term repo rate (at which banks borrow from RBI) has been cut from 8.5 per cent to 8 per cent. This reduction in rates after they were increased 13 times between March 2010 and October 2011 surprised the market, which was expecting a cut of 0.25 percentage points. Kerala was declared the first State in the country to achieve total financial inclusion. The achievement means that each household in the State has at least one bank account and the facility for need-based credit. Palakkad district had become the first district in the country to achieve total financial inclusion four years ago. The Union Cabinet cleared the Companies Bill, 2011 and decided to take up the Bill in the Winter Session itself for approval by Parliament. Once approved by Parliament, it will replace half-a-century-old Companies Act of 1956. The Bill has introduced ideas like Corporate Social Responsibility (CSR), class action suits and a fixed term for independent directors. Among other things, it also proposes to tighten laws for raising money from the public. The Bill also seeks to prohibit any insider trading by company directors or key managerial personnel by treating such activities as a criminal offence. It has proposed that companies should earmark 2 per cent of the average profit of the preceding three years for CSR activities and make a disclosure to shareholders about the policy adopted in the process. The Bill, which was originally introduced in Lok Sabha in 2008, lapsed because of change of government. It was reintroduced in August 2009. Cabinet approval on the Companies Bill, 2009, was pending as the Finance Ministry and MCA failed to reach a common ground on powers to be delegated to the Securities and Exchanges Board of India (SEBI) in case of regulatory overlaps.